According to an article in Variety magazine, Disney Animation has given the green light to produce a live action Chip and Dale movie. Yes. 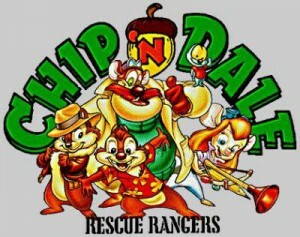 What’s more, the film’s plot is an origin story for the Chip and Dale Rescue Rangers. This means we get to see not only Chip and Dale but Monterey Jack, Gadget Hackwrench, and the fly known as Zipper all portrayed as CGI characters in the real world, a la The Smurfs or the recent spate of Alvin and the Chipmunks movies. The film is being written and directed by Paul Rugan, previously best known as a director of TV commercials. No word yet on a planned release date or any cast members.